At Westfall Exteriors, we know that a well-built and well-designed outdoor deck not only adds value to your home, but also increases enjoyment of your home. Our in-house deck contractors are experts at deck and porch planning, design, and installation. We’ll help create more usable space in your yard for relaxing, dining, and entertaining. Our deck builder will help you decide on the best type of wood (cedar, etc. ), layout, stain colour, shape, and accessories to create your dream deck. we take care of permits and follow bylaws. 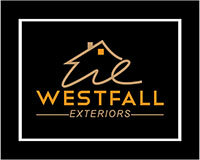 Call Westfall Exteriors today to talk about your deck project. Complete the form on this page to receive a free, no-obligation, on-site estimate at your convenience.